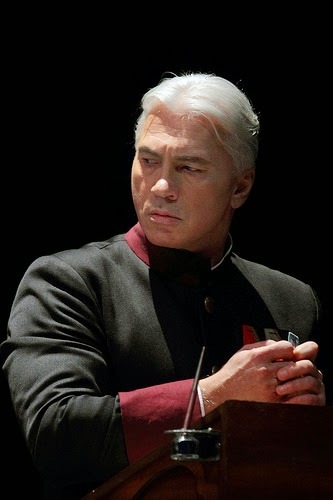 Dmitri Hvorostovsky The Royal Opera © ROH. 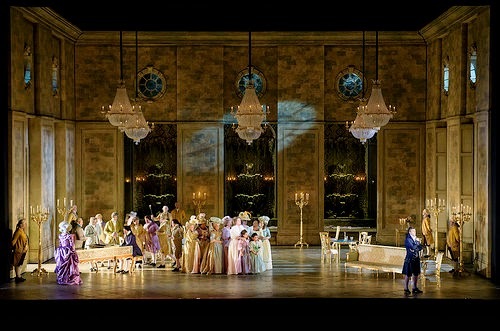 The Royal Opera's new production of Verdi's Un Ballo in Maschera debuted in December 2014. It seems to have divided critics. Directed by Katharina Thoma and designed by Sondra Gilmour, it starred Joseph Calleja, Liudmyla Monastyrka, Marianne Cornetti, Dmitri Hvorostovsky and Serena Gamberoni. I caught it on December 22 (see my review) and the production failed to find favour. Of the other critics that I have read, Classical Iconoclast blog liked the production and most others found it leaden and unconvincing. The musical performance seems to have equally divided opinion. I thought it would be interesting to look over all the reviews and I have summarised that various views. Classical Iconoclast liked the production, feeling that it was easy to regard it as undemanding, and with its use of painted flats, it felt quaint but underneath there was wit and intelligence being applied. That we have opera as the art of illusion, in a production which also placed the focus on the singing. Joseph Calleja and Dmitri Hvorostovsky, both of them highly charismatic, created Riccardo and Renato as convincing characters, and a powerful dynamic between themselves as artists. Ultimately Classical Iconoclast found the production a lot more subversive and thoughtful than met the eye, and wondered if satire was over the heads of the audience. Hugo Shirley on his blog, had been reading the reviews of the production when it was unveiled in Dortmund where the review in Der Western complained that having to deal with Covent Garden and use big stars had meant the production was 'backward and ridiculous'. Shirley noted that the first night at Covent Garden wasn't booed at the curtain calls, unlike a number of other recent Covent Garden productions. But he felt it was a fusty, half-hearted compromise marred by stagecraft more inept than anything seen on the Covent Garden stage for a long time. He felt the updating had little to do with the work, and that the ending with Oscar receiving an army coat and going off to the trenches was in poor taste. A huge number of composers suffered during World War II, and a whole generation was lost in the Holocaust, virtually wiping out a strand of European modernism. 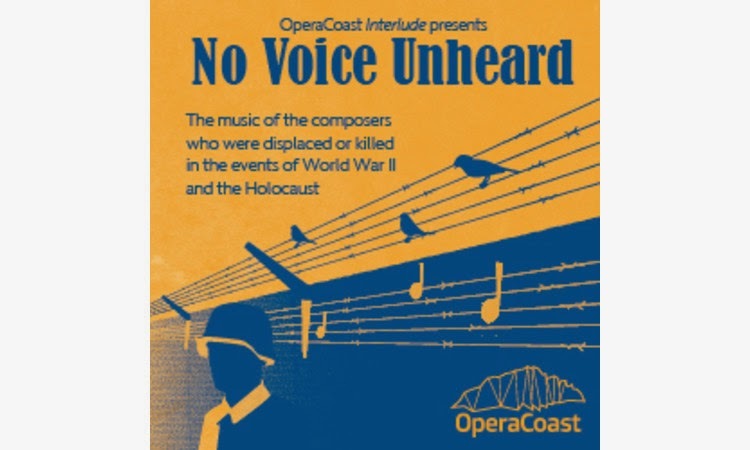 OperaCoast is presenting a pair of concerts in Brighton (2/5/2015) and Lewes (1/5/2015) as part of the Brighton Festival Fringe which explore the music of composers who were displaced or killed in the events of World War II and the Holocaust. Instrumentalist from the Trinity Laban Conservatoire join soloists from Opera Coast, musical director Gregory Rose and pianist Nigel Foster to perform music by Victor Ullmann, Alexander Zemlinsky, Pavel Haas, Erwin Schulhoff, Hans Krasa, and Paul Hindemith. OperaCoast is a weekend opera workshop that takes place at Eastbourne in Sussex. Launched in the end of 2011, the project aims to bring together singers of different ages and backgrounds from all over the world to explore the psychology of opera. This summer they are performing Massenet's Manon. Rhinegold Live opened its 2015 season of early evening concerts with a recital by pianist Nicholas McCarthy on Wednesday 28 January 2015. McCarthy was born without his right hand, and has made a triumphant career performing the piano repertoire for left-hand. At his Rhinegold Live recital McCarthy included an arrangement of Bach by Paul Wittgenstein, the pianist who lost his right arm in World War I and who did much to revitalise the piano left-hand repertoire in the 20th century, and an arrangement of Schubert by Count Geza Zichy, a friend of Liszt's who lost his arm in a hunting accident and did much for the piano left-hand repertory in the 19th century. Also in the programme was Scriabin's Prelude and Nocturne for the left hand, written at a time when Scriabin had strained his right arm and arrangements of music by Ivor Novello, George Gershwin and Richard Strauss. Each piece was introduced by McCarthy who sketched in the background to the work being played in a way which was both informative and entertaining.McCarthy was playing a very impressive Schimmel Konzert Grand, provided by Peregrine's Pianos which provides the instrument for all the Rhinegold Live recitals. 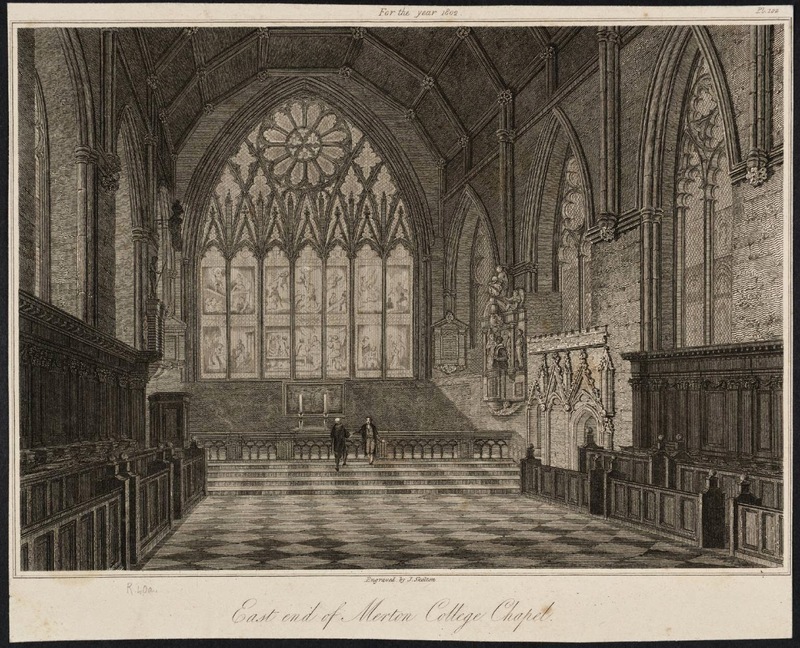 The Merton Choirbook is a project start to celebrate Merton College's 750th anniversary in 2014. Throughout that year, Merton College Choir premiered a number of works which had been commissioned specially for the project, to create a fine collection of contemporary choral and organ works. On 7 February 2015 at 4pm in Merton College Chapel, a further group of premieres take place as the Choir of Merton College, Benjamin Nicholas conductor and Christian Wilson solo organ perform veteran South African composer John Joubert Northumbrian Triptych – Three Settings of Bede, Francis Pott's Word and Hymn Fantasias, and Netherlands-based Argentinian composer Carlos Michans Apostrophe. Tickets are available on-line from Tickets Oxford. English Touring Opera has announced details of its Autumn 2015 tour, when the company will be performing a programme of three French operas, Debussy's Pelleas et Melisande, Massenet's Werther and Offenbach's The Tales of Hoffman. All three will be performed versions for reduced orchestration, thus giving us a more intimate take on three masterpieces. The tour commences in October 2015 at the Britten Theatre, Royal College of Music, London. Debussy's Pelleas et Melisande will be sung in French and performed in an arrangement by the Belgian composer Annelies van Parys. The work will be directed by James Conway, artistic director of English Touring Opera, with Jonathan McGovern (Sid in ENO's Girl of the Golden West) as Pelleas, Paula Sides (who shares role of Mimi in the forthcoming ETO tour, and who sang Poppea in ETO's Coronation of Poppea in 2013) as Melisande and Stephan Loges as Golaud. Massenet's Werther will sung in French, and will be conducted by Iain Farrington, using Farrington's new arrangement of the score for salon ensemble. The instrumental ensemble will be on-stage with the singers, and the production is directed by Oliver Platt (who directed the recent Barber of Seville at Opera Holland Park). Carolyn Dobbin (who impressed as Fatima in New Sussex Opera's recent Oberon) sings Charlotte, with Simon Wallfisch as Albert (Wallfisch sang the role in the Grimeborn Festival production). They will be using the baritone version of the opera (which Massenet prepared so that Battistini could perform the role) with the title role being taken by Ed Ballard. Offenbach's The Tales of Hoffman will be performed in English, and conducted by Philip Sunderland. Sam Furness (who recently made is ENO debut in Girl of the Golden West) sings the title role with Ilona Domnich (who shares role of Mimi in the forthcoming ETO tour, and who sang Melisande at Grimeborn in 2013) as the three heroines and Louise Mott as Niklausse. The production is directed by James Bonas. 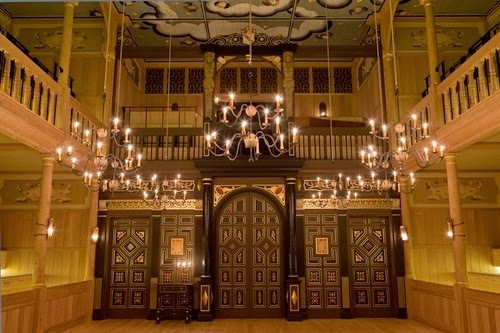 All three productions are designed by Oliver Townsend with lighting by Mark Howland. After opening in London they will tour to Buxton, Durham, Harrogate, Cambridge, Bath and Snape with more dates to be announced. 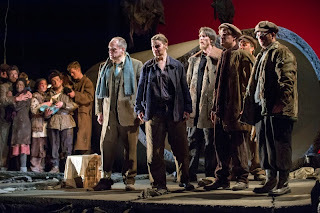 ETO's Spring 2015 tour commences in March at the Hackney Empire, with Donizetti's Siege of Calais, Donizetti's The Wild Man of the West Indies and Puccini's La Boheme. 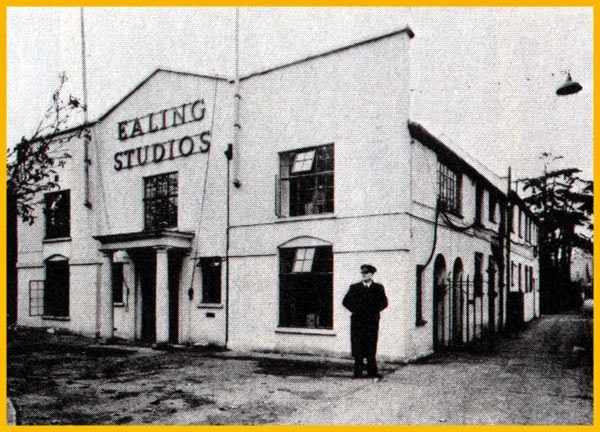 For those with and eye on the past the name Ealing is forever associated with a certain type of British comedy film. But the Ealing Music and Film Festival celebrates the culturally diverse borough of today. In 2015, the festival returns for Valentine's Day running from 10 to 15 February. This year the festival celebrates the Polish connections in the borough with music and film from Poland. The festival opens at Ealing Studios themselves with Henryk Gorecki's Szeroda Woda performed by the London College of Music Choir. Tenebrae Choir will be performing music by Pawel Lukaszewski plus Palestrina, Lobo and Victoria. 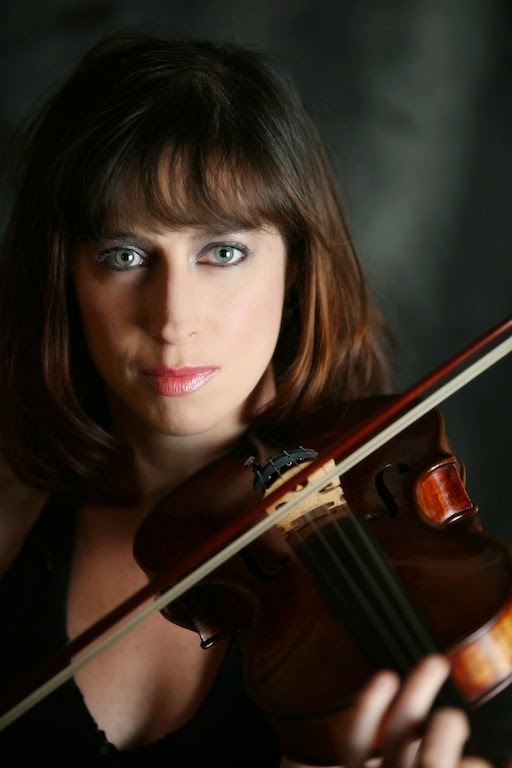 The English Chamber Orchestra, which is based in Ealing, is conduced by Akira Mori in a programme of Panufnik (Andrzej and Roxanna), Chopin, Henryk Wienawski (1835 - 1880), Boyce and Mozart. The Boyce symphony in the programme will include pupils from Twyford Academy. Ealing Youth Orchestra, conductor Leon Gee, is joined by violinist Tasmin Little for Sibelius's Violin Concerto plus music by Dvorak and Mieczyslaw Karlowicz (1876 - 1909). Ealing Symphony Orchestra is conducted by John Gibbons in a programme which pairs Chopin and Mieczyslaw Vainberg (1919 - 1996) with Elgar and Walton. There are films, of course, jazz and talks including the composer Roxanna Panufnik (whose father was the Polish emigre composer Andrzej Panufnik) talks about Music in Exile. Premieres at this years festival include three festival commissions, from the young British composer Tom Green and from two young Chinese composers Ying Xiao and Yanche Ye. Welsh-based composers Ben Lunn and Andrew Wallace also have premieres in the festival and Estonian composer Helena Tulve has a UK premiere. The pianist Robin Green is the festival's 2015 Young Artist in Residence and he will also be playing the hurdy gurdy (!) accompanying violinist Sarah Trickey. Other artists include the viol consort Fretwork as well as visits from the Estonian Philharmonic Chamber Choir and the Tallinn Chamber Orchestra. These latter two will each give individual concerts as well as providing the festival finale which includes Arvo Part's Stabat Mater and music by Dobrinaka Tabakova. 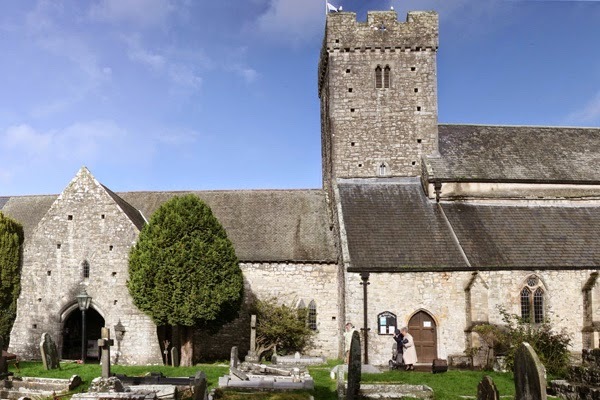 As usual the festival utilises a variety of venues in and around the Vale of Glamorgan including major concert halls in Cardiff, plus the Pier Pavilion in Penarth, Dyffering House and St Illtud's Church in Llantwit Major. Further information from the festival website, you can also read my coverage of last year's festival on this blog. 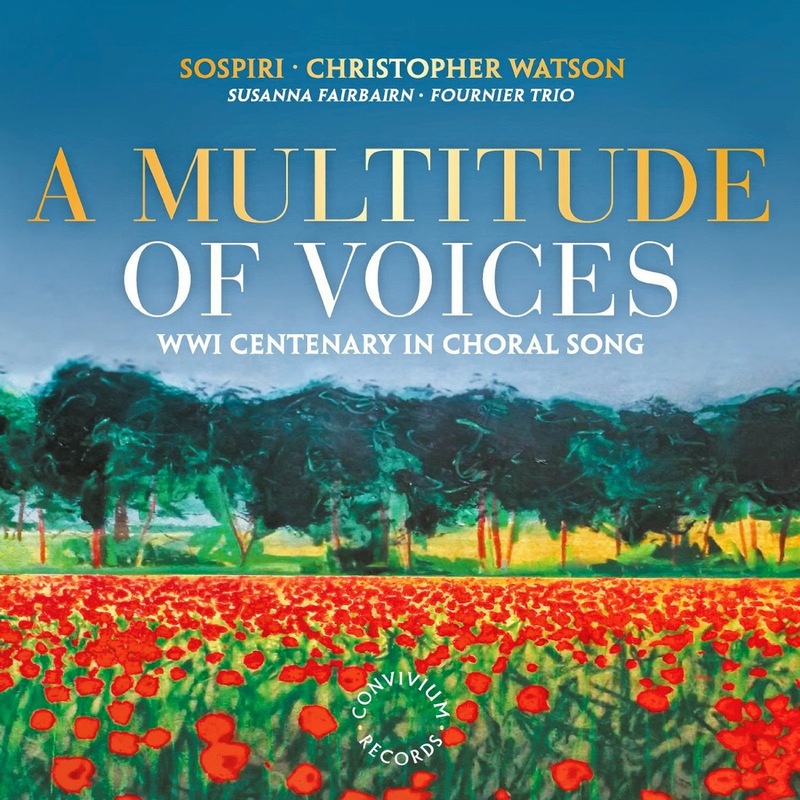 On this disc from Convivium Records, Christopher Watson and the choir, Sospiri, present a programme of contemporary works inspired by World War One, many commissioned by the choir as part of their A Multitude of Voices project. Christopher talked to me about the project last year (see my interview with him on this blog) and it is fascinating to hear the finished results. The disc includes music by a varied group of composers, David Bednall, Cecilia McDowall, Frank Ferko, John Duggan, Colin Mawby, Richard Allain, Alexander L'Estrange and Francis Pott. The project was conceived in 2011 by Christopher Watson and composer John Duggan (co-founders of the Oxford-based choir Sospiri) and they were keen for composers to look outside the normal poetic canon. Composer Colin Matthews has joined forces with the author Michael Morpurgo for The Pied Piper of Hamelin a work for narrator and orchestra which has been commissioned by the London Philharmonic Orchestra and will be premiered by the orchestra, conducted by Vladimir Jurowski at the Royal Festival Hall on 8 February 2015 at 12pm. 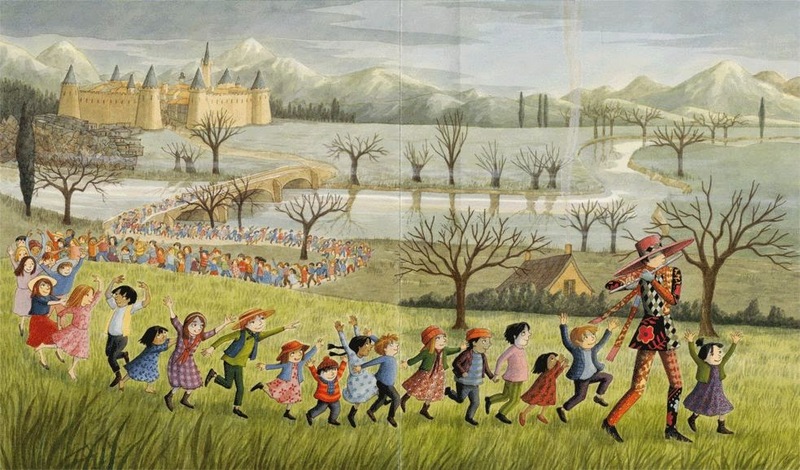 Morpurgo will narrate the story and there will be Emma Chichester Clark's illustrations from the book projected during the performance. Colin Matthews (born 1946) studied at the Universities of Nottingham and Sussex, and subsequently worked with Britten in Aldeburgh, and with Imogen Holst. He collaborated with Deryck Cooke for many years on the performing version of Mahler's Tenth Symphony. From 1992-9 he was Associate Composer with the London Symphony Orchestra, writing amongst other works a Cello Concerto for Rostropovich. In 1997 his choral/orchestral Renewal, commissioned for the 50th anniversary of BBC Radio 3, was given a Royal Philharmonic Society Award. 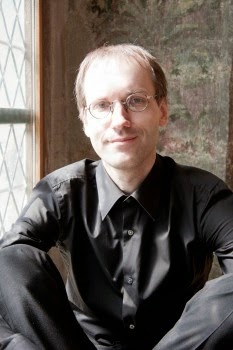 He is currently Composer-in-Association with the Hallé. The work is suitable for children of 7 and upwards. Further information from the London Philharmonic Orchestra website. In 1674, Actor-manager Thomas Betterton wanted to put on a big show at his theatre, the Duke of York's Theatre in Dorset Gardens, to steal the thunder of his rivals at the King's Theatre. His plan to do an English version of one of Lully and Moliere's comedie-ballets, Psyche, which he had seen in Paris, were delayed (it finally came to fruition in 1675), and so Betterton decided to revive William Davenant and John Dryden's version of the Shakespeare's The Tempest. This had been premiered in 1667, with music by John Banister and Pelham Humfrey. To this mix, Betterton added his creative team from Psyche, thus creating the first in that typically English mongrel genre, the semi-opera. Matthew Locke (who was composing music for Psyche) wrote suites of instrumental pieces, act tunes and the curtain tune which depicts the storm at sea. GB Draghi wrote dances, Thomas Shadwell wrote words for the Masque of Neptune and Psyche for Act V. This and the Act II Mask of the Devils were set by Pelham Humfrey, whilst Shadwell's music teacher Pietro Raggio wrote a new song. Add to this that the version of play completely re-writes Shakespeare adding new characters including a sister for Miranda, and you have the potential for a complete dogs dinner. The Orchestra of the Age of Enlightenment admirably proved otherwise at the Sam Wanamaker Playhouse at the Globe Theatre on 25 January 2015, when musicians from the orchestra led by Alison Bury were joined by singers Katherine Watson (soprano), Frazer B Scott (bass), Samuel Boden (tenor), Harry Cookson and Andrew Sinclair-Knopp (trebles), and actors Molly Logan and Dickon Tyrrell. Lutenist Elizabeth Kenny devised and directed, whilst Caroline Williams did the adaptation of the text and was stage director. Rather than being offered a concert performance of the music, taken out of context, we were treated to a potted version of the play with all the music in its correct context. The Aspect Foundation launched its 2015 season with a evening exploring Berlin and the Age of the Enlightenment at the Twentieth Century Theatre in Notting Hill. Norman Lebrecht introduced the subject and harpsichordist Mahan Esfahani played music from Frederick the Great's court by Carl Philipp Emanuel Bach, Frantisek Benda, Johann Joachim Quantz, Frederick II (The Great) of Prussia, Johann Sebastian Bach, with Madeleine Easton (violin), Rachel Brown (flute), Richard Boothby (viola da gamba). The idea behind Aspect Foundation evenings is to introduce a musical topic, and provide an intriguing introduction and spark lively debate. Not quite a lecture recital, the audience should come away intrigued and keen to learn more. 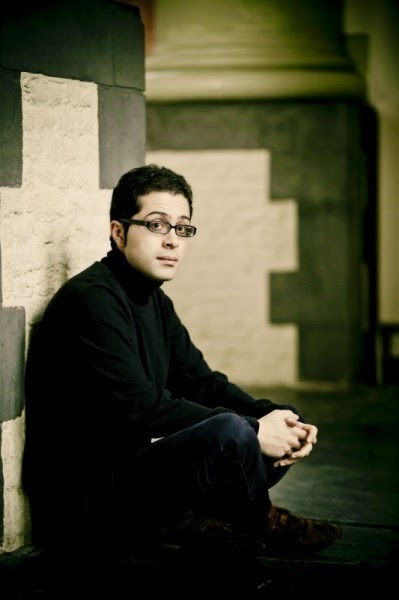 As well as Lebrecht's introduction, Mahan Esfahani talked about the individual pieces and at the opening of the second half, Lebrecht and Esfahani had a discussion about the nature of Enlightenment. The end result of the introduction and the discussions was fascinating, as we learned that the Enlightenment in Berlin during the 18th century was nothing like that which we thought. Frederick the Great's father sacked all the musicians, and when Frederick ascended the Prussian throne he radically recreated the musical establishment, but Lebrecht's convincing argument was that you cannot create cultured Enlightenment by an act of will and that Berlin never took its status as a cultural city. But the discussion also raised other interesting aspects, as Lebrecht brought up the topic of the Jewish philosopher Moses Mendelssohn (Felix Mendelssohn's grandfather), who was patronised by Frederick the Great despite Jews not being allowed in Berlin. It put a whole new complexion on what Enlightenment might mean. We caught up with Covent Garden's much anticipated production of Giordano's Andrea Chenier at the Royal Opera House on Friday 23 January 2015. David McVicar's new production (the first at Covent Garden for 30 years, and yes I did see that one too), was designed by Robert Jones (sets) and Jenny Tiramani (costumes) with lighting by Adam Silverman and movement by Andrew George. 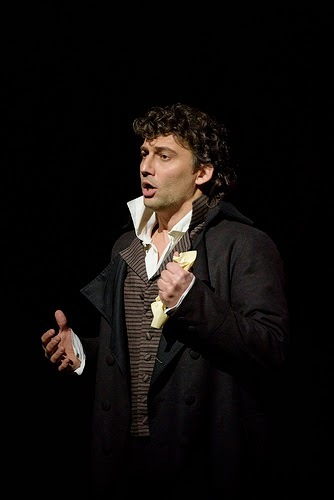 Jonas Kaufmann was Andrea Chenier, Eva-Maria Westbroek was Maddalena, Zeljko Lucic was Carlo Gerard, with a large cast including Denyce Graves, Rosalind Plowright, Peter Coleman-Wright, Peter Hoare, Carlo Bosi, Roland Wood, Elena Zilio, and dancers Sarah O'Connell and Roger Molist. Antonio Pappano conducted the Royal Opera House Orchestra. Giordano's opera was premiered 1896 (Puccini's La Boheme premiered in 1896, and Tosca in 1900). The opera applies the verismo principals of strong passions with a plot based in reality, dealing with ordinary people, to an historical subject. The librettist Luigi Illica (who also worked on Puccini's librettos in collaboration with Giuseppe Giacosa) included a lot of historical detail into his text and Giordano seems to have responded to this. The opera is full of a wealth of background, almost too much so. Giordano gives us 23 named characters; so many that sometimes you wonder who on earth this person is. Giordano does not seem to have worried and simply concentrated on ensuring that the three principals stand out in high relief. The title role is given no dramatic development, instead we get a series of brilliant poet outbursts (one in each act) some based on the original poet's writings. You feel that if Puccini had been writing the opera, he would have insisted on changes and focussed in greater detail on salient moments. If you consider Tosca, we learn almost nothing of the background in Scarpia's Rome it is left to suggestion. Whereas Giordano has filled his opera with picaresque, Massenet-like detail without quite Massenet's gift for bringing his characters into the foreground and developing them. This was an extremely handsome production with a very strong cast. Robert Jones's large scale set was flexible and attractive, creating a series of substantial interior and exterior settings which were beautifully lit by Adam Silverman. David McVicar seems to have decided to take the opera at complete face value, so that Jenny Tiramani's costumes were a welter of colourful period detail. Too much so in fact, and this combined with McVicar's handling of the ensemble moments in the middle two acts, tended to make you wonder whether we had wandered into a production of the musical Les Miserables! Frankly, I wanted a little more edge to the work. The moment in Act one when the peasantry bursts into the Contessa di Coigny's soiree just wasn't threatening enough, and during the post-Revolution acts we just did not feel that the crowd, with its mass of colourful characters, was at all liable to turn violent at any moment. Once you had got over the feeling that you rather wished you were seeing him in a rather greater work, Jonas Kaufmann was superb in the title role. He stalked about the stage looking every inch the lean and hungry poet. The improvviso in Act one was superbly done, with Kaufmann's familiar dark, baritonal and highly sculpted line suiting the music and the character perfectly. He did not have the open Italianate sound that Carreras and Domingo brought to the role, but he added a superbly intelligent shaping of the music and a superb, dark intensity. He really did smoulder. The young German cellist Leonard Elschenbroich may be familiar because he has spent that last two years as a BBC Radio 3 New Generation Artist during which time he has played 13 different concertos for the BBC, and his recordings of concertos by Dutilleux and Nino Rota were broadcast on BBC Radio 3 this week. 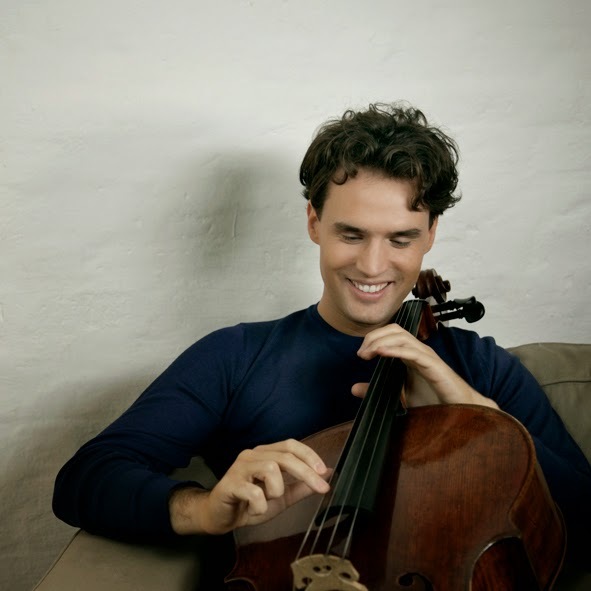 Born in Frankfurt, Elschenbroich studied at the Menuhin School before continuing his studies in Germany, and he is now based in London but has a career which takes him all over. His recent disc of music by Prokofiev and Kabalevsky, including Kabalevsky’s rarely performed Cello Concerto No 2, has recently been released on the Onyx Classics label. I recently met up with Leonard Elschenbroich to chat about his new disc, his career so far and his plans. In person (he is 30 this year), he is personable, charming and highly articulate. We had a fascinating hour of musical talk with ranged widely. Contemporary music was a theme which cropped up throughout our interview, and clearly he is very engaged both with music and composers. But there were other interests too, and he was very keen to highlight his work with the fledgling Bolivian Philharmonic Orchestra. 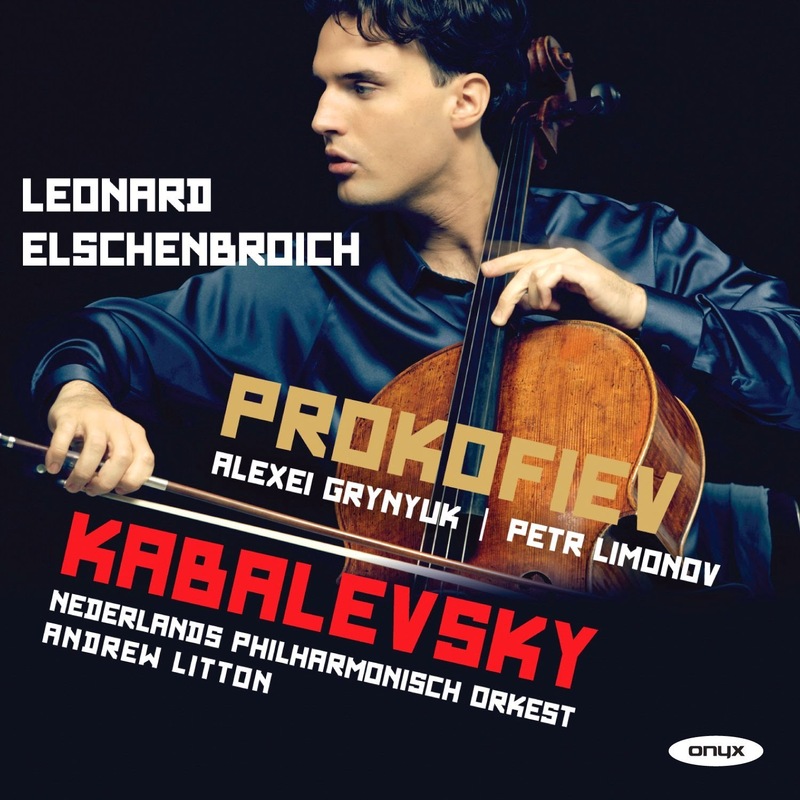 Leonard Elschenbroich’s latest CD on Onyx Classics pairs Prokofiev’s Cello Sonata (with his regular pianist partner Alexei Grynyuk) with Kabalevsky’s Cello Concerto No. 2 (with the Netherlands Philharmonic Orchestra and Andrew Litton). This is the second disc of Russian music which Leonard has recorded, as his previous disc for Onyx Classics paired the Rachmaninov Cello Sonata with the cello version of Shostakovich’s Viola Sonata (again with Alexei Grynyuk). And not just Russian music, there is also a thread of examining the work of artists under the Soviet regime. But when I ask him whether he is planning a series, he says not. When considering recordings, he tries to choose works that he wants to listen to rather than looking for a market need. It just so happened that his initial wants list had four Russian works at the top of it! 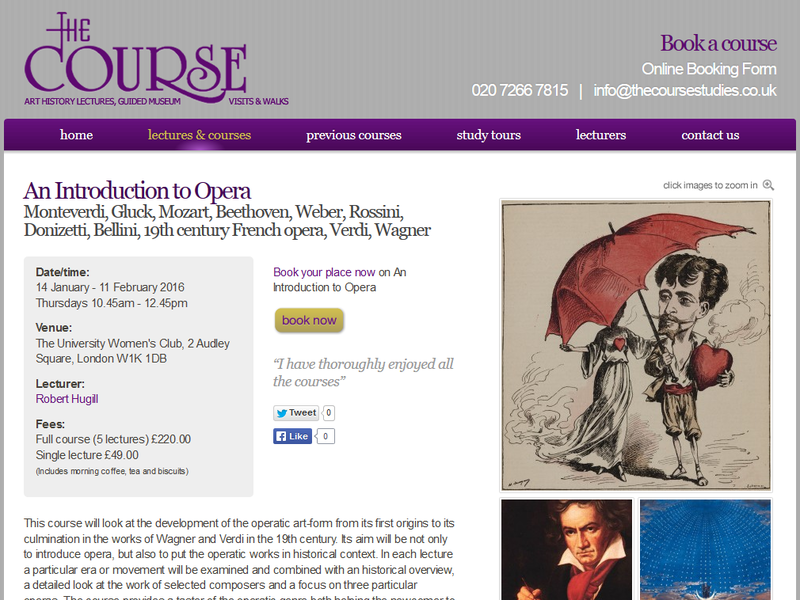 Everything you wanted to know about opera but were afraid to ask? Each lecture will introduce the music of the period with historical background, and concentrate on three composers with a more detailed examination of one work by each, so the first lecture introduces Monteverdi and L'Orfeo, Handel and Giulio Cesare and Gluck and Orfeo ed Eurydice. There will be the opportunity to listen, at the end of the lecture, to a suitable operatic excerpt and participants will get suggested listening lists. There is a term in German, gebrauchsmusik, which translates roughly as useful or needful music, that is music written for a particular purpose. There is no quite parallel term in English where the term carries a sort of sense of put-down which doesn't really occur in German. Much church music is gebrauchsmusik, well written, suitable for its function, providing musical interest but never overshadowing the primary liturgical purpose. This disc of music by Margaret Rizza on Convivium Records is gebrauchsmusik; it was written for use, designed for a particular liturgical purpose. But that does not mean that we cannot derive pleasure from it as casual listeners, in fact there is certainly much to enjoy and in extremely fine performances too. 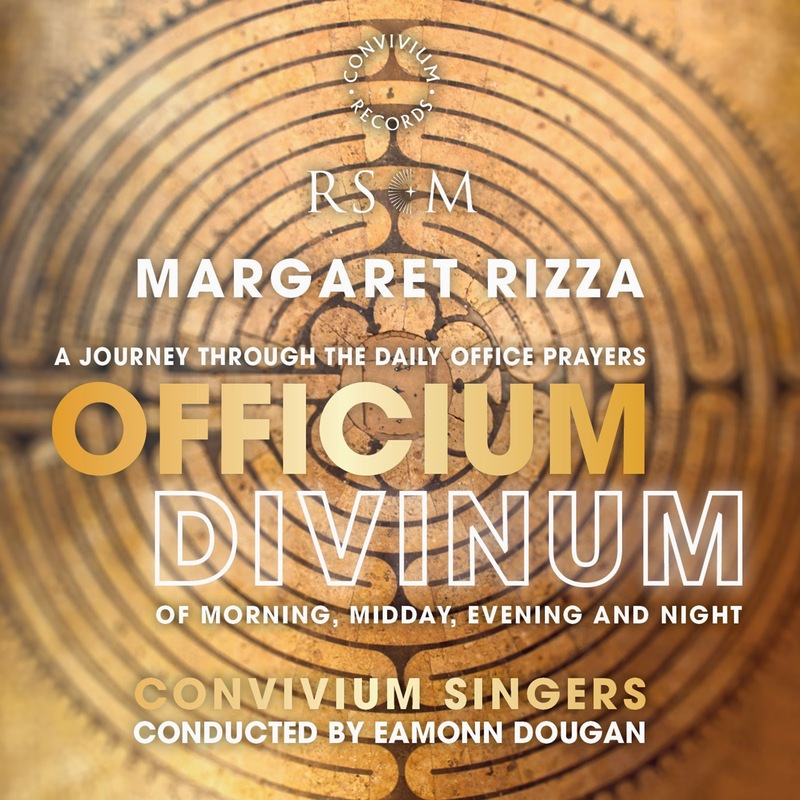 The disc from Convivium contains Rizza's Officium Divinum, sixteen pieces gathered into four groups Morning Prayer, Midday Prayer, Evening Prayer, Night Prayer with the texts based on the Anglican Church's Common Worship, Daily Prayer. They are performed by the Convivium Singers, conducted by Eamonn Dougan with David Price on organ. The idea was originally that of Tim Ruffer, Head of Publishing at the Royal School of Church Music. The resulting music works in a number of ways. The pieces from each group might form the basis for a single service or can be mined for individual items for liturgical or concert use. Rizza's choice of texts is wide, she uses Common Worship but also Lancelot Andrews (1555 - 1626), Anne Harrison, David Adam, George Herbert (1593 - 1633), William Blake (1757 - 1827), and Mary Holtby, which I think gives the works a strength and depth. I particularly liked Mary Holtby's Benedictus which uses the Latin as a refrain to the English verses, and thought the William Blake poem a particularly appealing choice. Morning Prayer consists of The Night Has Passed (Common Worship), Open Thou Mine Eyes (Lancelot Andrewes), Dedication (David Adam from The Edge of Glory), The Song of Zechariah (Benetictus) (Gospel of Luke adapted by Anne Harrison). Midday Prayer consists of Blessed Bread (Margaret Rizza), The Real Presence (David Adam from The Edge of Glory), The Twenty-third Psalm (George Herbert), Gloria in Excelsis (Common Worship). Evening Prayer consists of Let my prayer rise before you (Common Worship), Sweet Dreams, Form a Shade (William Blake), Song of Mary (Gospel of Luke adapted by Mary Holtby), Kindle our hearts (Common worship). Night Prayer consists of Before the ending of the day (Common Worship), Keep me as the apple of your eye (Common Worship), Song of Simeon (Gospel of Luke adapted by Mary Holtby), Night Prayers (David Adam from The Edge of Glory). Welsh National Opera's Occupation: five songs that shook the world has seen artists as diverse as Carleen Anderson, Judith Weir, Cerys Matthews and High Contrast commissioned to create songs responding to issues in society and current news events. The final song, from composer Daniel-Wyn Jones is released on 23 January 2015. The song is inspired by and includes lyrics from comments and quotes from the general public collected over the course of the project, feeding in their thoughts about liberty, freedom and democracy via social media. It explores a range of issues including religion, the role of media, NHS funding cuts, violence against women, and the existence of prejudice and extremism in our society. The artistic partner in the project, Ffilm Cymru Wales has created an accompanying film, set in The Senedd, Wales's National Assembly building. The film can be viewed at the Occupation website, and Daniel-Wyn Jones's music is available for download from Soundcloud. The other four songs are also available from the Occupation website. 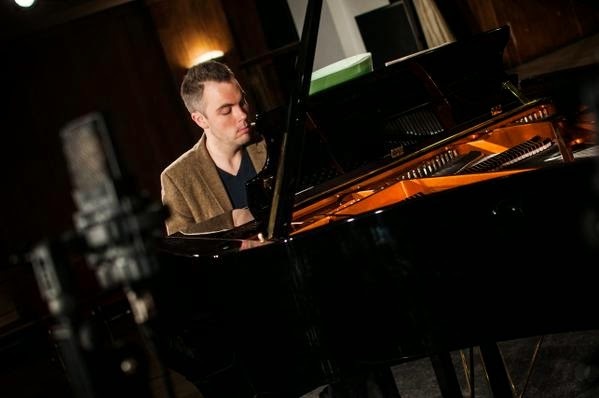 Cardiff-based bilingual composer Wyn-Jones studied at the Cardiff University School of Music and the Royal Conservatoire of Scotland and his tutors have included Judith Weir. 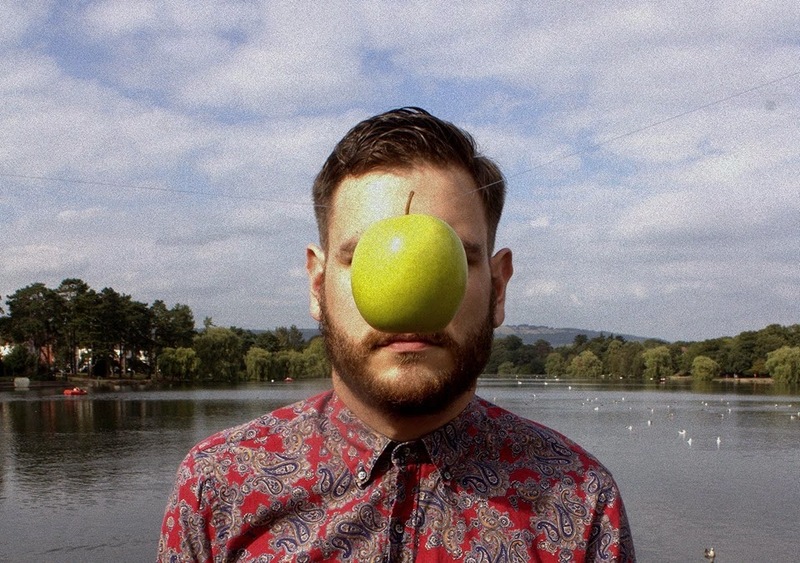 He is influenced by a diverse selection of modern popular and classical music and draws heavily on other disciplines especially Theatre of the Absurd, modern dance, conceptual and performance art and a variety of classic 20th and 21st century literature. On 3 February 2015, Klammer Klang presents drumscapes // hammerland at Cafe Oto in Dalston (just next door to the Arcola Theatre). The programme includes Fritz Hauser and We Spoke performing music by Hauser, and Eliza McCarthy in first performances of music by singer/songwriter Mica Levi. Swiss-born Hauser writes and performs music for percussion (he bangs things for a living) as well as cross-media works. We Spoke is a contemporary music group based in Switzerland. Pianist Eliza McCarthy won the top prizes in the British Contemporary Piano Competition in 2013. Klammer Klang is a concert series at the award winning Cafe Oto in Dalston. They present curated programmes of new contemporary classical, experimental, improvised and electronic music. The series was founded in 2008 and run by Lucy Railton for four years, the series is now directed by Serge Vuille. 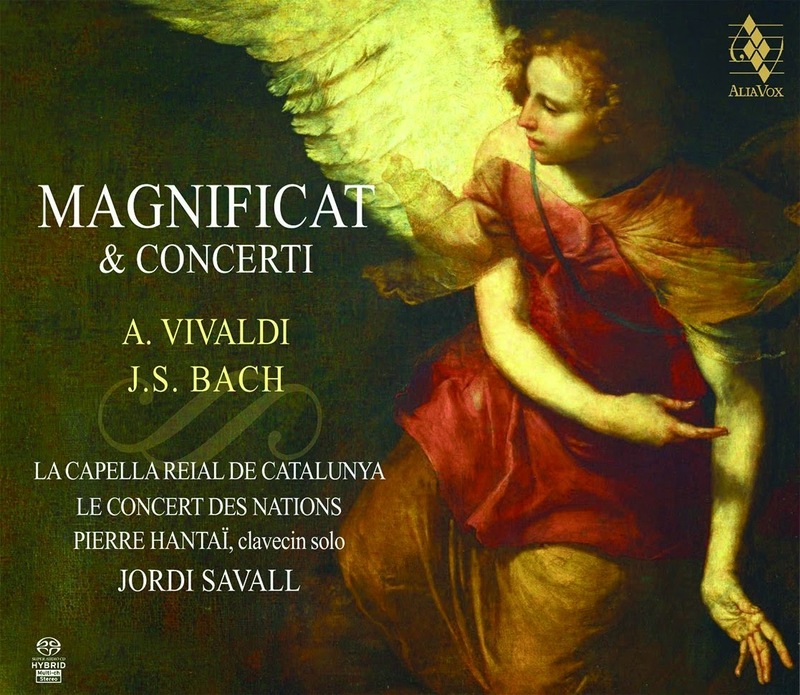 This disc from Alia Vox is the fruits of the Third Academy of Professional Training for Musical Research and Performance in Barcelona in June 2013, with concerts recorded live at the Chapelle Royale of Versailles and the performers combine soloists from La Capella Reial de Catalunya, twenty young professional singers and Le Concert des Nations all conducted by Jordi Savall. They perform Vivaldi's Magnificat in G minor, and Bach's Magnificat in D major. To these is added two recordings by Savall and Le Concert des Nations, the recording of Vivaldi's Concerto in G minor for two violins, and viola da gamba RV578 recorded at Cardona, Catalonia in 2003 and Bach's Concerto for harpsichord in D minor BWV1052 recorded at Fontfroide Festival in 2013. The disc also comes with a DVD of performances of the magnificats and the harpsichord concerto. The disc opens with Vivaldi' concerto for two violins and viola da gamba. The work starts with an atmospheric slow introduction with a bleak edge to the solo violins, followed by a perky allegro. The solemn middle movement, Larghetto, is rather chordal like the introduction and not at all how one thinks of a Vivaldi slow movement. The finale, Allegro, is again nicely perky. The soloists are very much primus inter pares, and not spot lit with the viola d gamba retreating rather into the general texture. Vivaldi's Magnificat starts off with a solemn and impressive choral opening. The piece interweaves choral and solo moments, with fewer large scale arias than Bach's version, which is in many ways very similar (Bach knew Vivaldi's setting). The larger scale choral moments are grand, but not over blown with a nice compact intensity to them. Fecit potentiam has a nice fiery drama both choir and orchestra. The Esurientes is a soprano/alto duet with the soloists providing slim voiced charm and find passagework. After another grand choral moment for Suscepit Israel, the soloists return for a characterful Sicut locutus est before the final choral movements concluding with a lively fugue. I have to confess that my heart rather sank when I saw that the second companion work was a Bach harpsichord concerto as too often modern performances of these seem to fail. To my ears either the the harpsichord sound is not well captured, or the instrument itself is too reticent. But here everything works superbly, from the first notes by soloist Pierre Hantai it is clear that the harpsichord is a solo instrument with a nice strong tone and he is given plenty of space by Savall. This is one of the best Bach harpsichord concerto recordings I have heard in a long time. A vigorous Allegro with the performers really digging into the notes, is followed by a sombre Adagio where a unison develops into something interesting, and a swaggering final Allegro. Bach's Magnificat opens with a fine instrumental introduction in which there is nice balance between the instruments so that the colours of Bach's lines really come through. As in the Vivaldi, the choral singing is excellent with a real vibrancy, plus a sense of care for the details. Johannette Zommer sings the Et exultavit soprano solo with poise, care and infectiousness. Hanna Bayodi-Hirt is plangent in the Quia respexit solo with a lovely oboe solo. Omnes gentes nicely vigorous, followed by a fabulous bass solo from Stephan MacLeod. Et misericordia goes with a nice lilt, with soloists Damien Guillon and David Munderloh providing a nice combination of vocal blend and character. Fecit potentiam and following tenor solo (from David Munderloh) both have a lovely swagger to them, and Munderloh combines good runs with a nice easy top. Esurientes has gentle expressive flutes and an really characterful alto solo. A beautiful Suscepit Israel is followed by a pair of choral movements full of vigour and swagger. There are lots of good things in this performance but what I liked most about it was the sense of swagger which Savall brings to the grander moments. It isn't a pompous performance, and Savall has drawn some very vital music making from his varied forces. The CD booklet is substantial, mainly because it has the text in French, English, German, Spanish, Catalan and Italian, plus ample photographs. The DVD contains related performances of the magnificats and the Bach concerto performed by the same forces. The DVD is quite basic, with no extras, but it provides a wonderful visual record of Savall's direction and the performers. This was always going to be a memorable disc, nothing Jordi Savall does is boring. 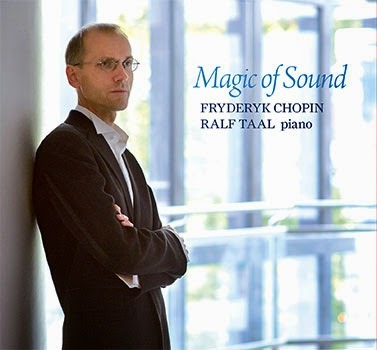 But the music making on this disc captures the very vitality of the live performance in just the right way. 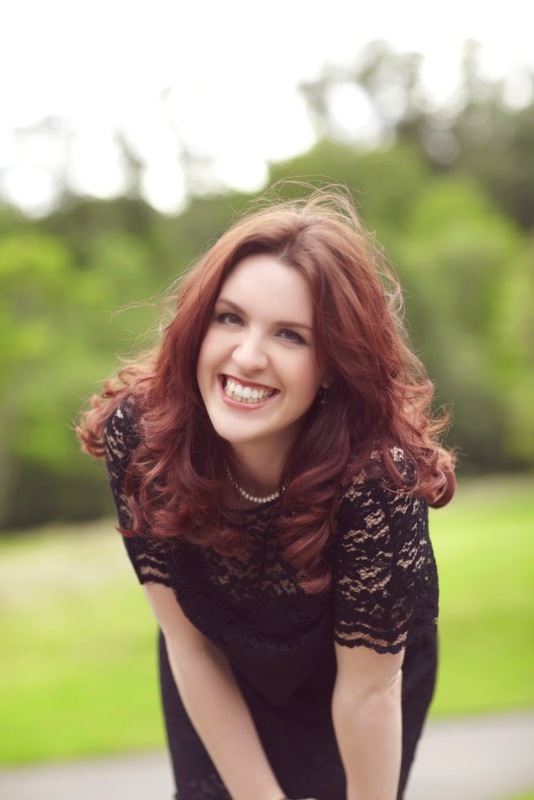 Soprano Sarah-Jane Lewis, accompanied by Finnegan Downie Dear, won the 2nd prize in the 2014 Kathleen Ferrier Competition and we were lucky enough to catch them in a private recital last night (20 January 2015). For the first half of the recital Lewis sang a selection of French songs, Henri Dupar's L'Invitation au voyage, Chanson triste, Elegie, and La vie anterieure, three songs from Debussy's Ariettes Oubliees (C'est l'extase langoureuse, Chevaux de bois and L'ombre des arbres) and Ravel's Asie from Scheherezade. Lewis has a rich, creamy textured voice with great warmth to it, and a lovely evenness across the range. It is potentially quite a big instrument, and it was lovely to hear her singing so fluidly and flexibly in a relatively small acoustic. 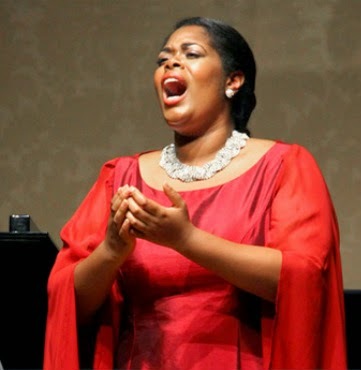 Though her voice has strong operatic potential, she is clearly a gifted recitalist. She sang some songs from memory and some with music, but she was always alert and highly communicative, with lovely clear French. Relaxed enough on the platform to do spoken introductions to the songs, you occasionally got glimpses of a real personality. The second half of the concert was more varied, with songs by Rachmaninoff, Frank Bridge and Manuel de Falla. Singing entirely from memory, in this half she seemed more relaxed and natural, so her voice really blossomed. She brought a strong sense of character to each of the groups of songs, differentiating clearly. The Rachmaninoff songs, No Prophet I, Loneliness, The Soldiers Wife and A-oo were all sung in Russian. The pair of Bridge songs were a great delight, Adoration and Come to me in my dreams, whilst the selection from De Falla's Siete Canciones Populares Espanolas (El pano moruno, Asturiana, Nana and Polo) revealed another side to her persona with dark Spanish hues in the voice. Throughout Finnegan Downie Dear accompanied with poise and the two formed a very strong duo. I was particularly taken with Dear's panache when navigating the thickets of notes in the piano version of Ravel's Asie. Cellist Leonard Elschenbroich continues his exploration of 20th century Russian music with a new disc on Onyx which pairs Prokofiev's Cello Sonata in C op. 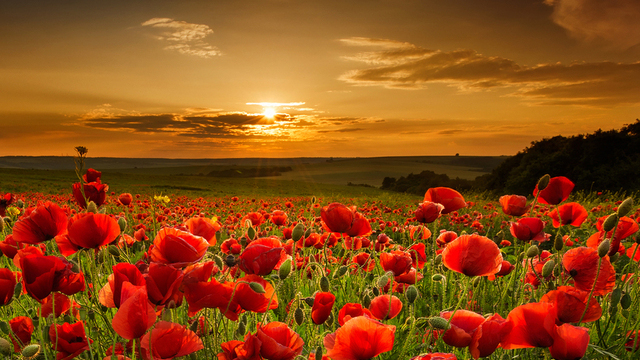 111 (with pianist Alexei Grynyuk) with Dmitry Kabalevsky's Cello Concerto no. 2 in C op.77 recorded live with the Netherlands Phiharmonic Orchestra and conductor Andrew Litton. Also on the disc is a group arrangements for cello and piano of items from Prokofiev's later ballets and opera, The Stone Flower, Cinderella and The Love of Three Oranges, with pianist Petr Limonov, plus Kabalevsky's Novelette. At first the programme can seem a little oddly contrived, as if the recording of the Kabalevsky turned out too good to simply put in the archive and something had to be found to go with it. But in fact the programme reflects Elschenbroich's continued fascination with artists under the Soviet Union and how they coped. Elschenbroich's own liner note reflects his interest in how other composers than Shostakovich managed. So on this disc we have late Prokofiev and Kabalevsky. Prokofiev wrote the Cello Sonata in 1949, four years before his death, in a period when he had had works banned and his wife had been arrested and sentenced to hard labour. He increasingly withdrew from public life and his works from this period can be seen to have similar withdrawal. The Cello Sonata, premiered by the young Rostropovich and Sviatoslav Richter, is seen by Elschenbroich as reflecting a surreal, dream-like state in which Prokofiev did not have to refer to reality. The Russian Orthodox musical tradition does not seem to do passions, but 8 February 2015 sees the British premiere of the St Matthew Passion by Metropolitan Hilarion Alfeyev. 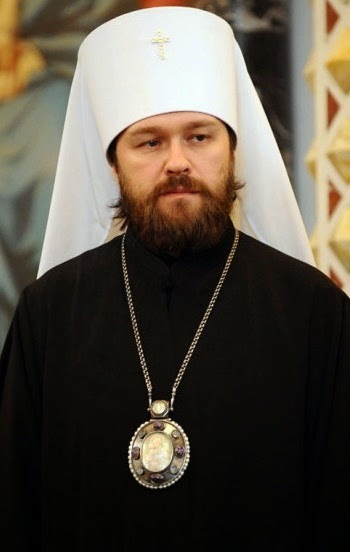 Metropolitan Hilarion is not only a bishop and noted theologian but also a composer. Inspired by the passions of Bach, his St Matthew Passion for soloists, choir and orchestra was written in 2006 and is the only work of its kind in Russian music to depict the life and resurrection of Christ. The work uses edited liturgical texts at the libretto. It receives its British premiered at the Cadogan Hall on 8 February 2015 when the Moscow Synodal Choir performs it under the direction of Alexei Putzov. The choir is one of the oldest professional choirs in Russia. Founded in 1721 is ceased to exist in 1918 and was revived by Metropolitan Hilarion in 2009. You can hear the opening of the work on YouTube. Further information from the Cadogan Hall website. Monday's BBC Radio 3 Lunchtime Concert at the Wigmore Hall (19/1/2015) was mezzo-soprano Kitty Whately, a BBC Radio 3 New Generation Artist, accompanied by Joseph Middleton in an all Schumann programme. All the songs in the programme had texts by Adelbert von Chamiso and all were written within the space of a single week in 1840. Of the three groups of songs the best known was Frauenliebe und -Leben Op.42, but Whately and Middleton also included the Drei Gesänge Op.31 and started with the Fünf Lieder Op.40 which include the three settings of Adelbert von Chamiso's translations of poems by Hans Christian Anderson. Schumann's Fünf Lieder Op.40 has at its centre the three Hans Christian Anderson settings, Muttertraum, Der Soldat and Der Spielmann, which are remarkable for Schumann's response to Anderson's bleak poems; in his programme note Gerald Larner talked of the way the songs anticipate Mahler. But Schumann prefixed and concluded the group with settings of more straightforward poems. 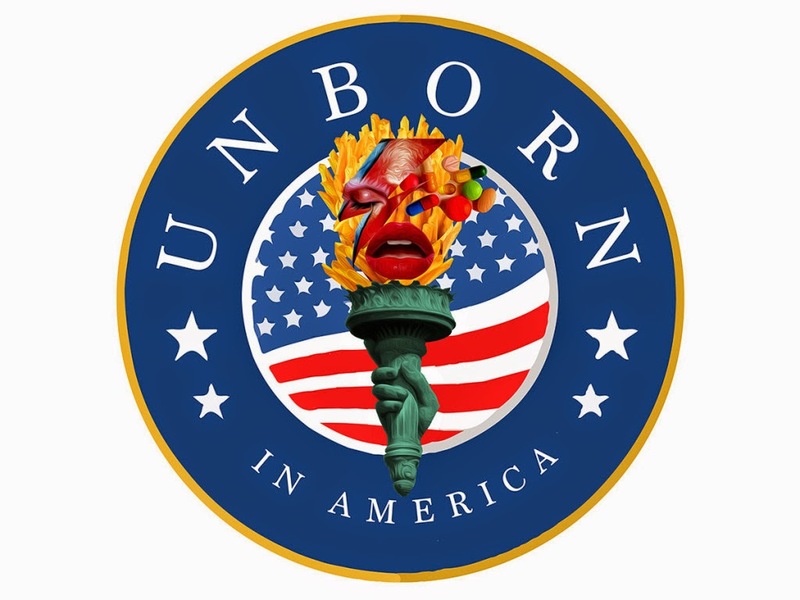 Unborn in America, a new cabaret opera by composer Luke Styles and librettist Peter Cant is being premiered at the Vault Festival on 29 January 2015. Luke Styles conducts Ensemble Amorpha with Jessica Walker, Lucy Stevens, Andrew Dickenson and Robert Gildon and the work is directed by Peter Cant. Performances are at The Vaults, Leake Street, London SE1 7NN, from 29 January to 1 February 2015. In both form and content, the new piece is unusual and perhaps controversial. Certainly the new piece's flexible form, owing something to cabaret, opera, performance art, satire and much else, will not suit everyone. And the work examines what we value in life. Set in The Petri Dish, the afterlife's cabaret bar of the unborn, foetus, Ziggy, recounts her journey from hell and back, starting in a stem cell laboratory. Luke Styles was composer in residence at Glyndebourne from 2011 to 2014 and his final work for Glyndebourne, based on Shakespeare's Macbeth, is premiered at the 2015 festival. He was recently appointed composer in residence at the Foundling Hospital. Secrets and Obsessions was a Sunday afternoon journey through secret desires, obsessions and anxieties from pianist Audrey Hyland and Songsmiths at the Wigmore Hall on Sunday 18 January 2015. 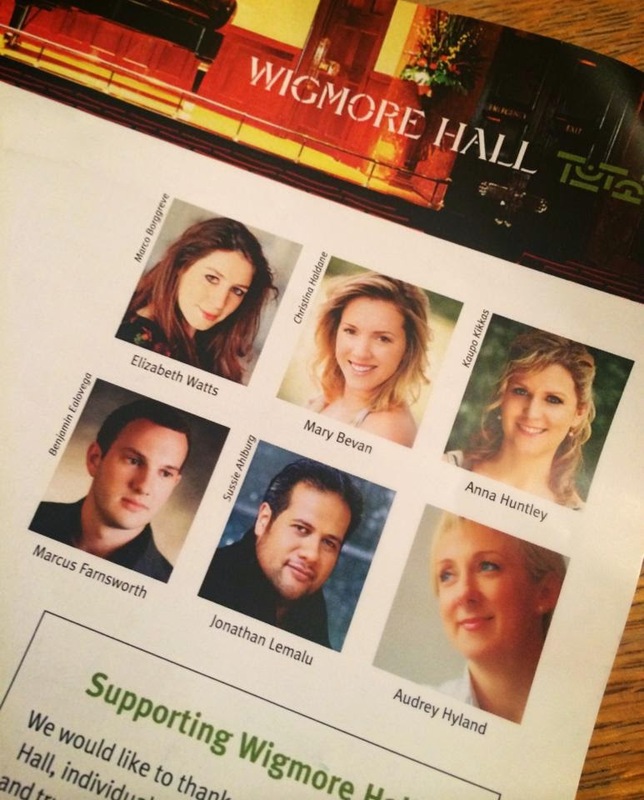 Sopranos Elizabeth Watts and Mary Bevan, mezzo-soprano Anna Huntley, baritone Marcus Farnsworth and bass-baritone Jonathan Lemalu sang songs and duets by Balfe, Messager, Mendelssohn, Hahn, Granados, Rodrigo, Gurney, Brahms, Weill, Loewe, Wolf, Schoenberg, Britten, Schubert, Butterworth and Richard Strauss. The format of the concert was clearly inspired by those of the Songmakers Almanac, all the singers were on the platform, the songs were performed from memory and the entire programme ran without a break with applause being restricted to the very end. We thus, were taken on a journey and though there were indeed some incredibly fine individual performances the result did add up to rather more than the sum of its parts. Few of the songs were what might be called mainstream lieder or song-recital fare, and many were unusual, but all contributed strongly. It helped that each song or duet was given a strongly idiomatic performance and for many it was difficult not to burst into applause after. New Unity Unitarian Chapel in Newington Green is a remarkably historic place. The chapel itself dates from 1708 and the worship there has included such famous names as Mary Wollstencraft. The chapel with its box pews was the venue for Newington Green Acoustic Concerts presenting a double bill of the Quest Ensemble and Voice on Saturday 17 January 2015. 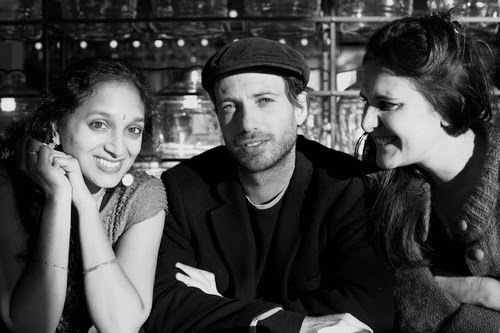 The Quest Ensemble is a piano trio, Tara Franks (cello), Preetha Narayanan (violin), Filipe Sousa (piano) whose repertoire blends the classical piano trio with jazz and improvisation via collaboratively written pieces. 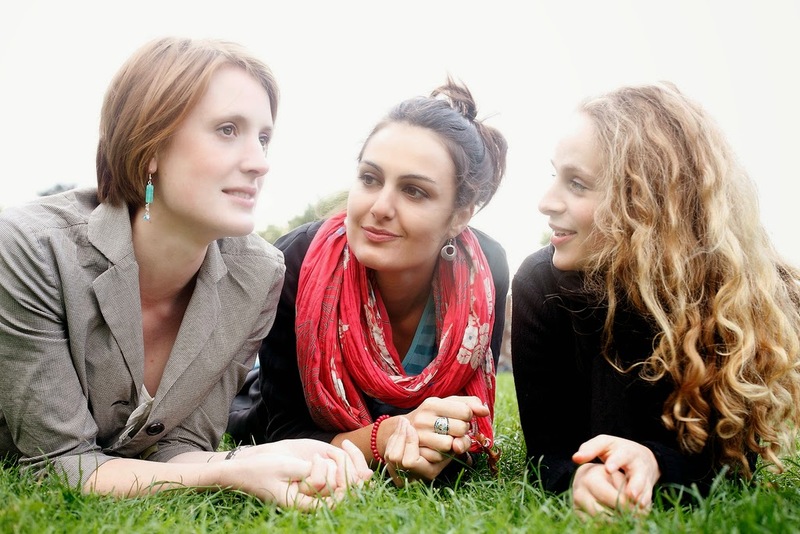 Voice is a female vocal trio, Victoria Couper, Clemmie Franks, Emily Burn, whose repertoire repertoire stretches from early music, to folk-songs and popular songs through to contemporary pieces. The evening was quite intimate, the chapel is relatively small and the packed audience were all close to the performers. There was a relaxed casualness about the proceedings, many of the audience members knew people performing and there were no tickets (you got your hand stamped) and no printed programme. Instead the performers addressed the audience directly, chatting about the pieces and their origin. The two groups interleaved their performances, rather than doing long sets, so that each half of the programme was a varied mix of vocal and instrumental. Victoria Couper, Clemmie Franks, Emily Burn all met in the Oxford Girls Choir and they formed Voice in 2006. Technically a close harmony group their repertoire stretches from Hildegard of Bingen through to specially composed pieces, and a big influence is Stevie Wishart with whom they have worked since they were in the Oxford Girls Choir. Their programme included singer songwriter Emily Levy's How Sweetly You Burn setting words by Hildegard of Bingen, Stevie Wishart's Happy Song, a 14th century French chanson, folk song arrangements The Water of the Tyne runs between us, The Water is wide, The lowlands of Holland, as well as glees, broadside ballads and catches. They finished the first half with the Stevie Wishart piece which was written for them and, using beat-box style techniques, pushed their technique and created something wonderful. The Cardinal Hume Centre, founded by Cardinal Basil Hume in 1986, provides homeless young people, families in need and local people support to acquire the skills they need to realise their full potential. 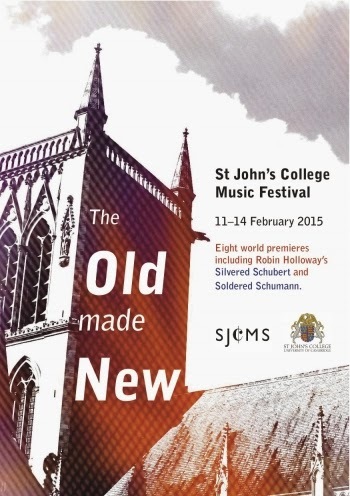 On 30 January 2015 at St John's Smith Square, the centre is presenting a concert in memory of its former chairman, Paul Goggins. 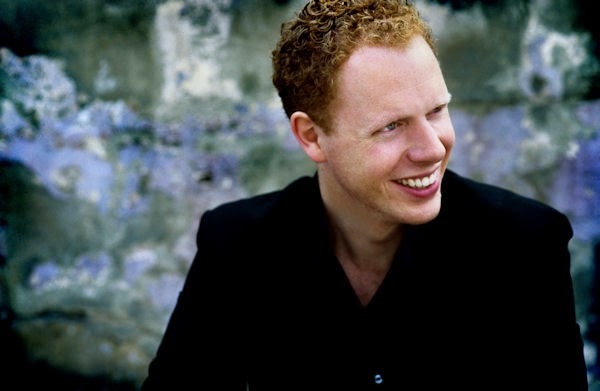 Pianist Ashley Wass joins the Southbank Sinfonia and conductors Maxim Rysanov and Scott Price for a programme which includes Mozart's Requiem and Beethoven's Piano Concerto No. 4. Wass, winner of the London International Piano Competition and former BBC Radio 3 New Generation Artist, is the soloist in the Beethoven. The soloists in the Mozart include Eleanor Dennis, Jean Rigby, Peter Davoren and Timothy West and the chorus will be the Schola Cantorum of the Cardinal Vaughan Memorial School. Maxim Rysanov, a noted viola soloist and also a former BBC Radio 3 New Generation Artist, made his CD conducting debut in 2013 with a disc which reached number two in the UK classical charts and was shortlisted for a Grammy award in 2014. He conducts the Beethoven and the overture to Mozart's Marriage of Figaro. Whilst Scott Price, director of music at Cardinal Vaughan Memorial School, conducts Mozart's Requiem. The Southbank Sinfonia brings together 32 music graduates from all over the world to further prepare them for their professional careers. Every place is free and every player receives a bursary. 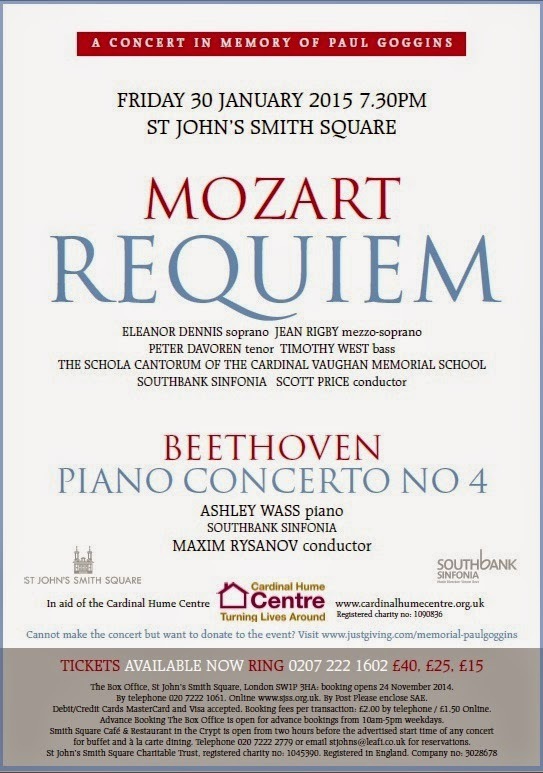 Further information about the concert from the St John's Smith Square website.